Celebrating 15 Years of Excellent Service in Williamsburg, VA! Operating since 2005, Southern Blue Lawn, Landscaping and Hardscapes continues to serve the community in Williamsburg, VA with endless outdoor solutions. From mowing to weeding to pruning to chemical applications, we are here to maintain your lawn all year round. We offer several options, including one-time service calls to full service maintenance contracts. Need your irrigation system serviced? Southern Blue can help with that too! 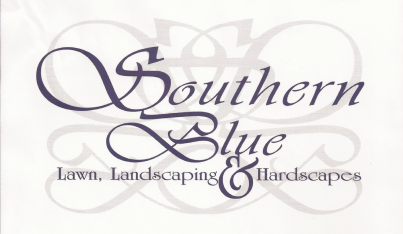 Southern Blue is also a complete Landscaping and Hardscape Design company. Call for an estimate today! Please call 757-229-9444, stop by our office at 3317 Venture Lane, Suite D, Williamsburg, VA 23188 or send us an email! We look forward to working with you!